We’re not about to proclaim the venerable 4×6-inch print is dead… it’s not, it’s probably just napping. Okay, that being said, have you seen some of the new photo merchandise products that a wide variety of imaging retailers and print providers are offering to both pro and consumer customers? It’s amazing stuff and the technology that is helping produce these items is equally amazing. Digital print technology continues to evolve and new formulas for inks are constantly improving as well. As advancements in both of these markets continue and the ability to print on a wider variety of substrates naturally becomes part of the mix as well. As a result, we are currently being treated to the prefect storm in the photo merchandise market as the incredible range of product offerings seemingly has no end. We gathered a few of the more unique and just plain cool offerings we’ve either tested out or been made aware of lately – some fun and very unique offerings…take a look. 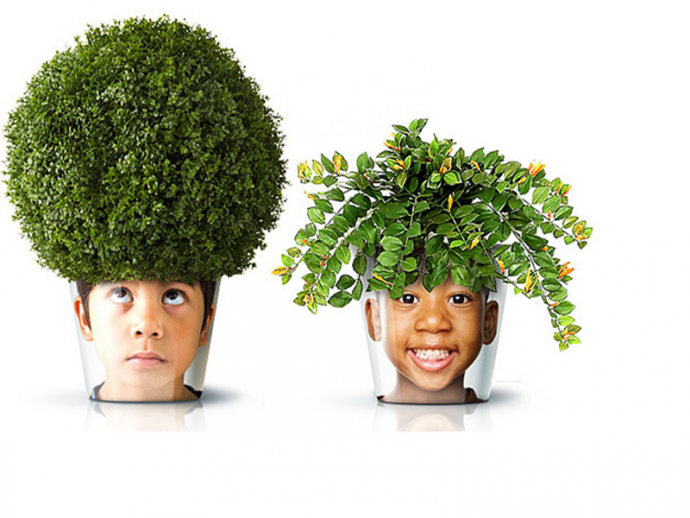 Here’s a neat photo project that may be well-timed as buds begin to bloom this time of year: “facepot” courtesy of the Russian marketing firm Good! This isn’t a product available for purchase but we thought it could be a fun project for enterprising do-it-yourselfers. We suggest using a product like Modge Podge, which is a glue and a sealer all in one, to secure a favorite photo to a planter. One well-executed headshot (or a well cropped portrait) will do the trick. Depending on the size of the pot you’re using, a 4 x 6-inch photo print should suffice. This is simply a clever idea and the fun stuff you can do with a bit of Modge Podge is super cool, including transferring images to wood. A while back we told you about the cool double-sided postcards from the folks at MOO. 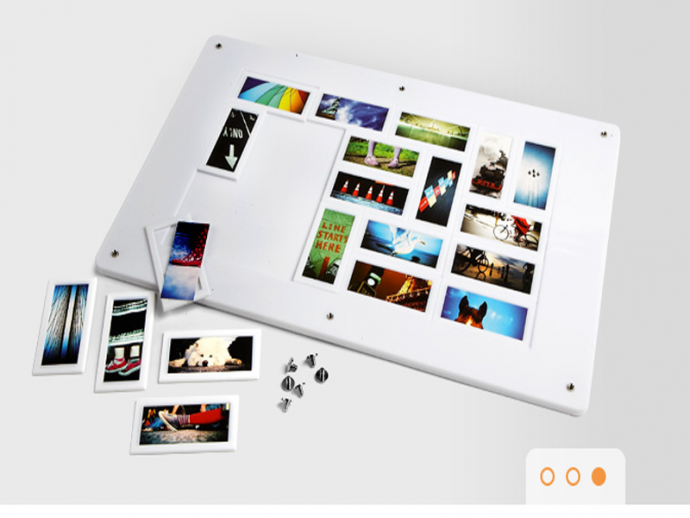 Well, they have added an even cooler product since then, the MOO Mosaic Frame, a very slick way to display a large number of their MOO Mini cards (those small 2 ¾ x 1 ¼ –inch photo cards you can design on the site). Their Mosaic Frame is approximately 10×16-inches and can house up to 20 of the Mini Cards. For $39.95 they send you the frame plus 20 holders for the Mini Cards and a clear plastic covering to screw in over the frame after you have arranged the cards to your liking. The cards can be placed in the frame either vertically or horizontally in whatever order strikes your fancy. The finished mosaic can either be hung on wall or stood up to be displayed on a shelf or table. The listed price does not include the Mini Cards but 100 of those, featuring the your favorite images, can be had for around $20. Again, nothing mind-boggling here – essentially just prints being offered in a unique size with the additional mosaic frame taking it one very creative step further. And speaking of postcards, we’d be remiss in not mentioning the newly launched Zoner Postcard app that is all about turning memories into more lasting keepsakes by allowing you to send friends and family printed postcards using the Zoner Postcards service in the Zoner Photo Studio Android app, or via their newly launched postcards webpage. Imagine simply adding names or words to a photo and then blending them naturally to a wall or sign within the picture so it all looks part of the original image. This has always been possible but only through hours of Photoshop work not to mention a fairly high skill level with the program. 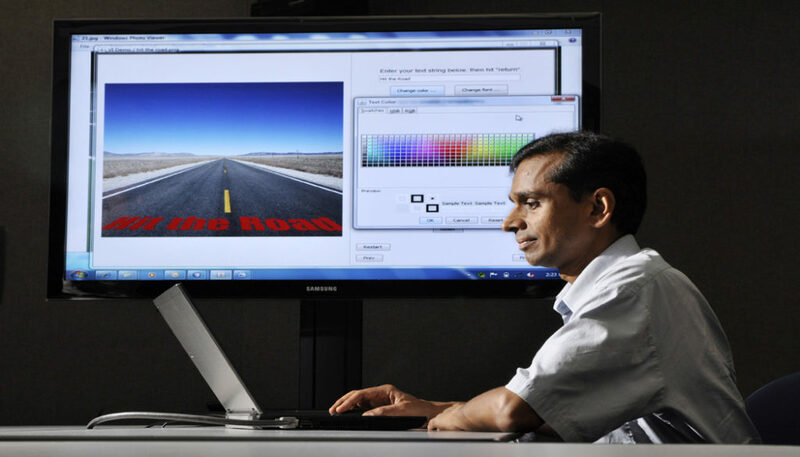 Xerox recently announced that they have reduced the process to a matter of loading an image into a software program and selecting where you want the text to appear and simply typing it in. The software quickly does the rest. SPI is essentially an image personalization software program aimed at the growing customizable photofinishing market that personalizes calendars, greeting cards, and photo books by inserting text messages into images. Xerox tells us their “Wizard Interface” is about as simple as it gets on the image editing front as, after the image is loaded into the program, SPI then analyzes the image and determines how to shape the text to the perspective of the objects in the photo, so that words appear to belong to the original image. The text’s shape and positioning can be adjusted by the user as well along with font, color and several other effects. Text can also be placed onto a blank area or replace existing text within the image, such as a street sign or billboard. We’ll preface this next item by urging everyone to drink responsibly (see Charlie Sheen) and perhaps the makers of Twisted Tea, a hard iced tea drink, will keep that thought in mind with their Be a Little Twisted promo. 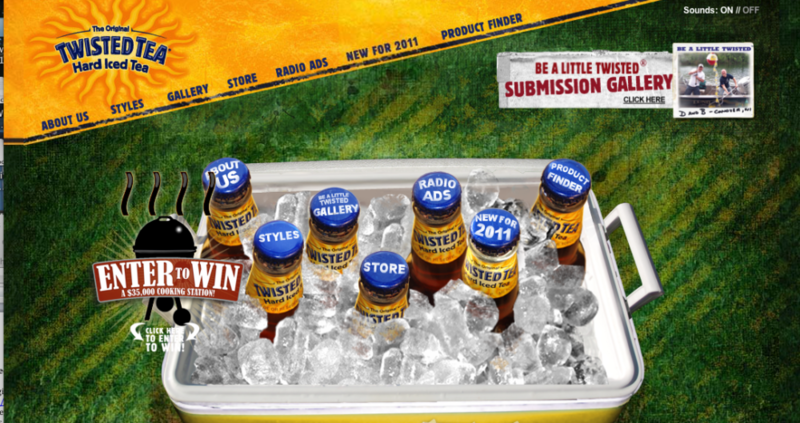 The Cincinnati, Oh-based brewer is asking consumers to submit images of themselves that also feature their product and the winning images could wind up on the next shipment of Twisted Tea bottles. For the record, contest rules include that the submitted images depict people at least 25 years old and should not depict the act of drinking. A complete list of rules and regulations for image submissions can be found here. Isn’t this how Lindsay Lohan got her start? For those of you with an interest in decorating your homes with the works of great professional photographers you might want to take a closer look at a company called PrintedArt. 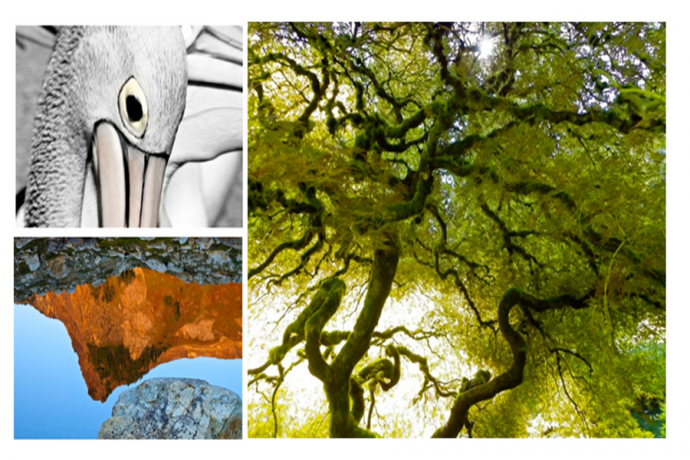 Every image in the collection is sold in a limited edition and produced in a modern gallery-grade display format, mounted either on aluminum dibond and finished with acrylic, printed on canvas, or as fine art prints on archival paper for custom framing. PrintedArt also allows customers to print their own images in the same professional quality as their fine art collection.